We generally recommend a selection of artwork for our clients’ offices, so that they have a variety of works to choose from when designing their office. At all times we keep in mind their requirements and the aesthetics that make up their interiors. Clients select the artwork that they want to rent and we help them to install it correctly. In this instance, management at the Downer Group had already selected an artist and the artwork that they wanted to hang in their workspace. As the pictures below indicate, they made an excellent choice using office wall art that clearly complements their boardroom’s existing design. 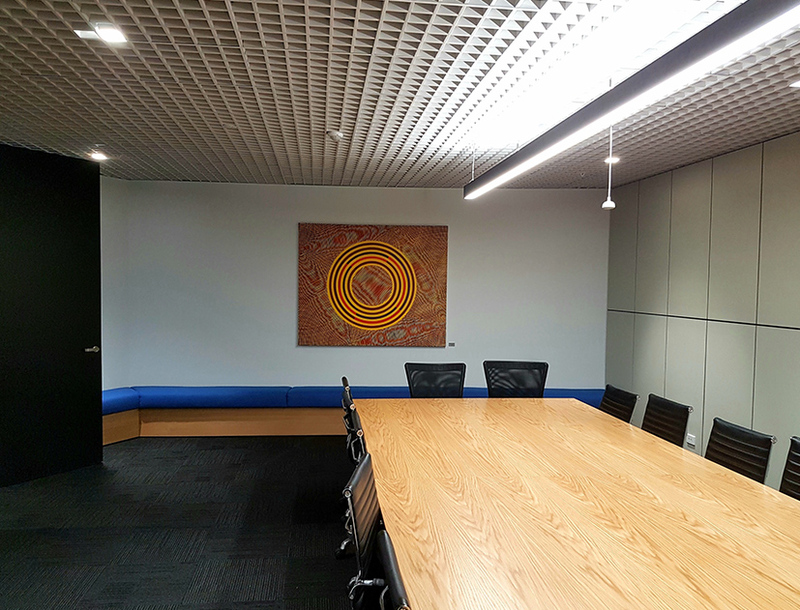 The artwork’s warm tones are highlighted through the use of timber in the boardroom. The end result is a space that encourages discussion and decision making and promotes productivity and creativity amongst their workforce. 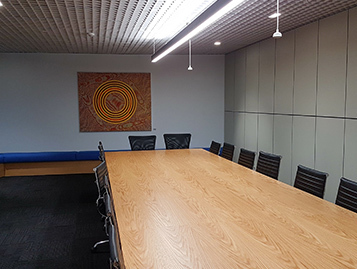 By renting John Aslanidis’ artwork, the Downer Group is supporting and encouraging the work of local Melbourne artists and showcasing it in one of the most important spaces in their Melbourne office.